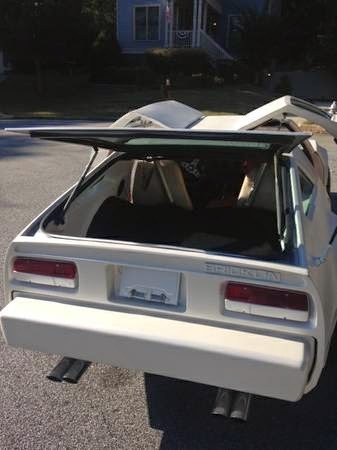 The Bricklin SV-1 was brainchild of billionaire Malcolm Bricklin and is no stranger to the pages of the DailyTurismo as these gull-winged equipped nightmares are often mistaken for kit cars and sell for pocket change. The SV-1 name means Safety Vehicle 1 (did they honestly expect they would build another model?) and it was designed by noted 60's Batmobile designer Herb Grasse. 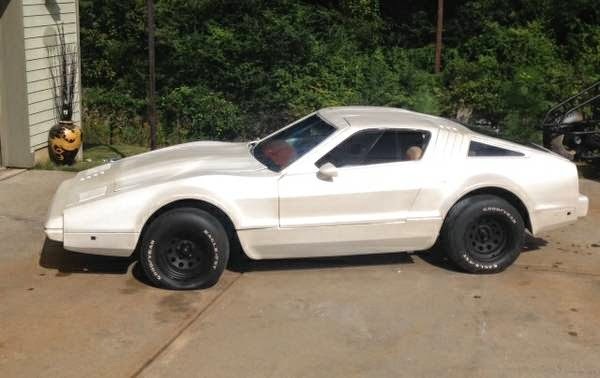 Find this 1975 Bricklin SV-1 offered for $6,500 here on craigslist, located in Atlanta, GA. Tip from Kalen. The story of the SV-1 sounds a lot like the DeLorean - motivated rich/famous dude thinks he can build a car better than 1000s of engineers at major automotive company and the resulting car is lauded by the press as visionary but ultimately a tremendous flop. 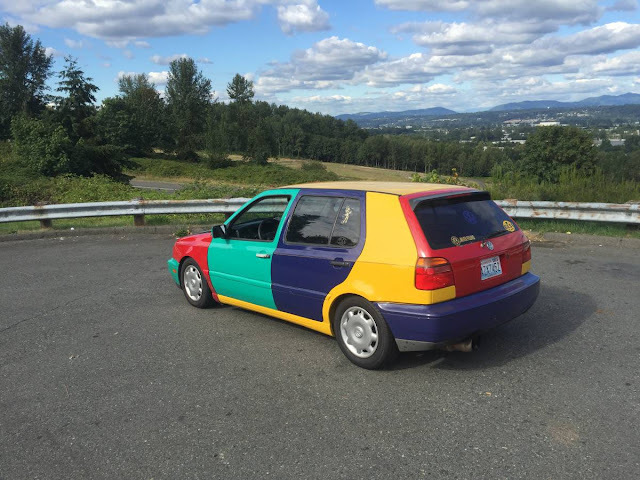 This one has been inexplicably covered head-to-toe in white paint (plasti dip according to the seller). The Ford 351 Windsor V8 was a great idea to power a low production super-coupe (think Pantera) when the idea was first spitballed across a smooth glass table covered in lines of coke in 1969, but by 1975 when released the Ford engine was smog restricted boat anchor. The 150 horsepower V8 was forced to lug around 3500 lbs of safety crash structure wrapped in a 'safety cone orange' port-a-loo body, making for a seriously uncool ride...and less than 2500 were ever sold. Today however this makes them 'rare' but prices reflect the abysmal driving experience. For some strange reason, we still sorta want one each time they pop up. The horrible engine just convinces me that this thing deserves and probably wants an engine swap. If it already has a Ford transmission, even better. It would be weird in a way that is worthwhile. If you bought this, the Kelmark, and a Sterling throw in a few flat black amc Javelins you would be ready to film a great 1970's post apocalyptic sci-fi movie. I'm seeing a lot of 300ZX in there.